The Gentleman Crafter: The New Envelope Punch!! NOTE: The Link Below Will Take You To The Newly Corrected Measurement Table For The Envelope Maker That IS Easily Printable as a .pdf file. Grab Yours Now...Yahooo! Guess what came in my mailbox today? You guessed it by the title I'm assuming! LOL! 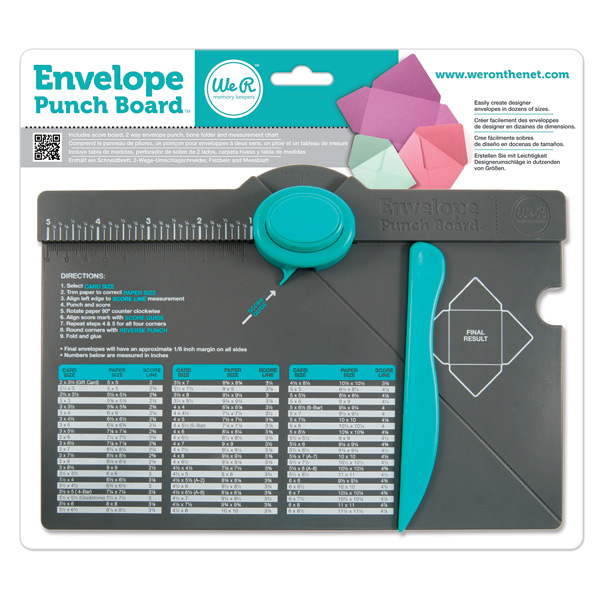 The Brand Spankin' New We R Memory Keepers Envelope Punch Board. Which I've already renamed...The Envelope Maker! LOL! I can never remember names, so it's just easier for me to rename them! :) I am so in love! Why? I have no idea! But, I will say, it's the coolest new tool I've seen. Here's why...I NEVER have the right envelopes for my projects, cards, etc. and this solves that problem. No more running around in the car to find the perfect envelopes! Sure I could pull out Marthas's angle thing and give it a go, but no more baby! This thing ROCKS! Here's a picture ..yep...You already have one or it's on order right? LOL! Here's how it works....Actually, this is how I worked it....Right or wrong! Here's a quick project I made with it this evening....It's not done on the inside, gotta work on that yet, but I wanted to show you it and will do a quick tutorial on it tomorrow. Talk about a fast and easy gift....THIS IS IT! I am loving this envelope maker!! Thanks so much for showing us how it works, what is the biggest size envelope you can make with it? I'm going to have to get another job. YIKES! I love the book you made with it, and I can't wait for the tutorial. Thanks Jim, you're really entertaining us this week! I saw it was popular on the CHA posts...nice to see it being used creatively. 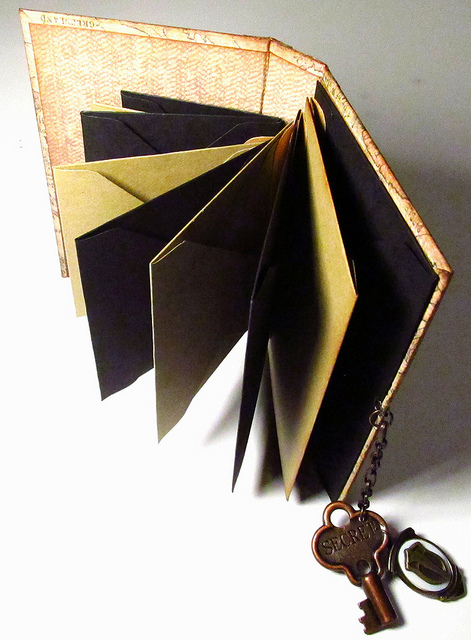 Love the envelope mini...great way to break in your envelope maker thingie! Thanks for posting the video so we can all see how it works. Keep the projects and videos coming...love them!! Thanks so much for all the creative inspiration!!! Thank you for your demo of this product! It's always fun to watch you in your element. Oh I forgot to mention that I love how your project came out. My blood is still boiling over the fact that my new board has 12 incorrect measurements! Ugh! 12 changes? holy cow. Seems they didn't have a fact checker on board. I have mine, made a few envelopes...it's pretty easy! Love your project, can't wait to see it done! Love this album! Of course it's cool like everything else you make! Besides the mismarkings from the measurements, one of the other criticisms that I've seen of this tool is that when you are working with larger papers to make some of the bigger-sized envelopes, it's hard to score completely because the board is too small to accommodate the big papers. Which is why I always wait for version 2.0 of these things! It does look completely awesome though! It will be mine once the issues are corrected. Thank you so much for the introduction to this product. First, I'm looking forward to your project with this product--looks so clever! I am very interested in this product because it looks easy. However, why is the scoring platform so much smaller than necessary to accomplish the score completely. I noticed you weren't able to score the complete line. I see rips in my future. Other than that--looks to be very helpful in making envelopes. I don't make them because it is a pain. This would be great with the one design flaw fixed. Thanks so much. CarynS....you are so right. I too should have waited for version 2.0. Guess I got caught up in all the hype like everyone else. Hey! Love how excited you are over this envelope board. Thanks for the video. Oh Jimbo---I wanted this immediately when I saw a piece from CHA about it. I was thinking it would be so great for cards. It never dawned on me to use the envelopes on a mini book! Genius lurks in the Texas countryside!!! Hey Jim... mine is on order! I am so glad that you got yours! Will be watching the video in a little bit, not enough coffee or focused enough yet! LOL! I love your project... the decorating will be so much fun, can't wait to see how you dress it up! Have a wonderful day! Jim, thanks for sharing you joy at getting the envelope maker and for the instant application on which you are putting it to use. Mine is on order and despite the flaws, I'm sure it will still be exciting to add another envelope maker to my growing collection! LOL. I am so glad you did this preview, Jim. I can see from your video that, although this tool looks great - it still has some issues. I agree with the above statements about the size - why have something that you need to cut out 12inch sheets, and then don't accommodate them? Also the mistakes with the measurements! What the heck? I will wait for these issues to be worked out - now then THAT will be an AWESOME tool! Just got done watching your video... I really can't wait for mine to come! I will be watching the mail like a hawk now! LOL! Thanks for showing me how it works! Have a fabulous day! Well, as soon as I've posted this, I'll need that punch! What will they think of next? I'm presuming you used the punch to make the envelopes in the book--what a useful tool that punch will be! OMG! I loooooooooooooooooove this! I just did a tute on customizing envelopes, but I didn't even know about this tool. Gotta have it! And your envelope album totally rocks. You are da man! you mentioned the measurements correction..but you used the measurements on the board...so I'm alitle confused..what size are the corrections for?? My came last week and already made 12 envelopes for "Love Day." Had a rhythm goin' that was just so satisfying. My favorite new toy! I was busy making my first envelope last night too, a 3x4. Very companionable to have you making yours in my craftroom at the same time.Of course, I was jazzed to have an awesome envelope; my brain didn't leap ahead to an album. Love hearing your ideas.If this one is a success, there'll probably be a 2nd version coming down the pike that is easier for larger envelopes. Memories R Us should just offer a new adhesive label with the adjusted measurements. And we need a nifty punch that deals with the point that sticks up. I don't want much. Lol.All in all, pretty fun tool for $20 bucks, I think. Loved watching you play with your new toy! I don't make my own envelopes at the moment, but can see that it would be useful. I think I'll wait until version 2 though as 12 errors is a lot to cope with when you have a brain like mine! LOL. 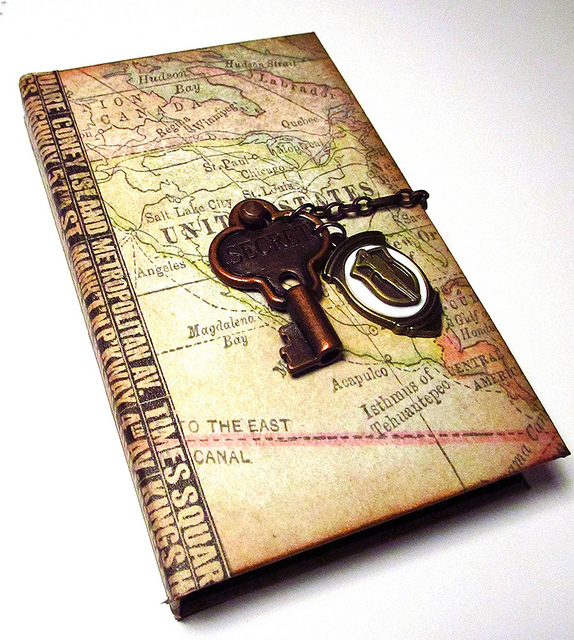 Your envelope album is such a good idea - great for holding souveniers like concert tickets, holiday mementos etc. WOW!!! I didnt even realise this existed. Perfect envelopes. Thanks so much for sharing Jim. Oh!!! So jealous! I can't wait for these to arrive. You are so funny! Gettin' all excited over making envelopes. Of course I could have used this yesterday when I had to address 3 different envelopes because "somebody's" Valentine wouldn't fit in them. You are probably wondering well why didn't you put the Val in it first....well it was lumpy and I wouldn't have been able to address it. So there, I was thinking with half my peabrain! I've reaaaaly been anxious to see one of these in action. Thank you!!! Oh my gosh! This tool is fabulous! I have an old env.maker which works, but invariably need a size in between! So I gotta have this tool! Thanks for showing how it works. And I love that shirt! I'd like to see all of it. It is always nice to see the actual work done-makes it easier to appreciate the product. As soon as I saw the video, I ordered the envelope Board. I lament it will not be here until April, but that is okay. Youtube Video-amazing! Had me to the end. Ahhh-to be so talented. Tags are quite lovely. 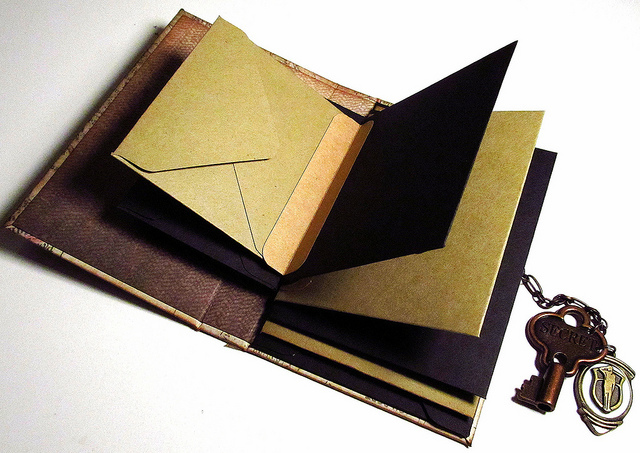 Will we be seeing the tutorial on the envelope journal soon? I just love it! Thanks for sharing your talents. Everyday I learn something new-thanks. Blessings. I just discovered this site last night and am so impressed. I was looking for info on the Envelope Punch and found so much more. I did end up ordering the punch. You really have a lot of talent. I will be busy on this site for some time to come. And you're in Texas, no better place to be.